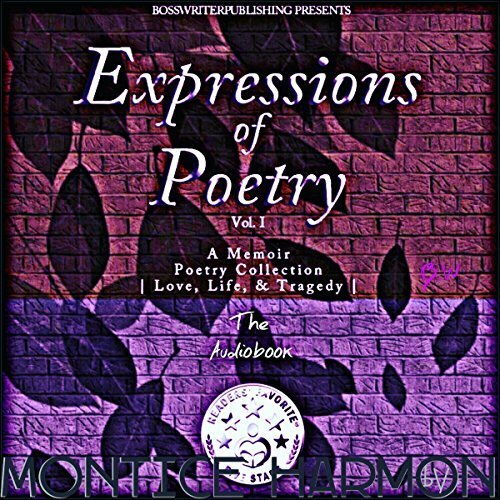 Showing results by narrator "Montice Harmon"
Expressions of Poetry by Montice Harmon is a beautiful collection of semi-confessional poems that speak about the poet's trials and tribulations. The poems are a kind of motivation for depressed minds and discouraged people to rise above their problems and face the world with a positive attitude. Most of Harmon's poems are prose poems. He takes prose poems to another level with this collection. The poems all deal with some aspect of the poet's personal struggles - his joys and sorrows - and they connect you with his spirit and inner mind.